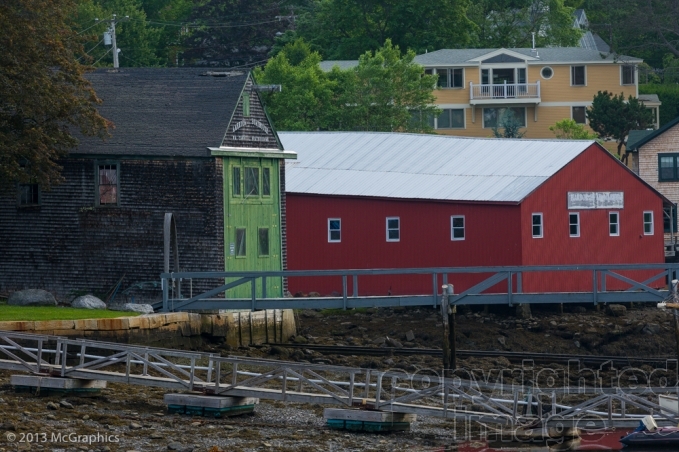 Boat repair buildings on the shore at Camden, Maine. 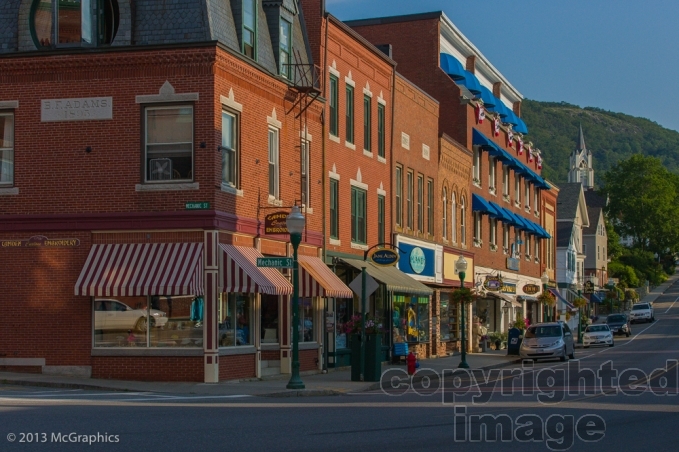 Main Street in Camden, Maine. 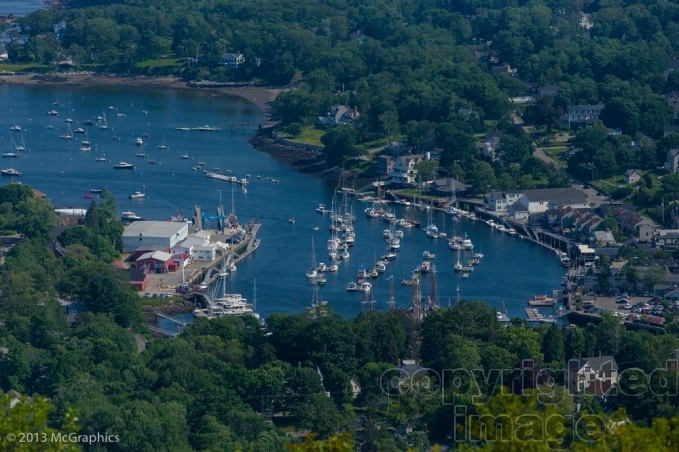 The City of Camden, Maine from Camdon Hills State Park. Tree roots in the forest. Lobsters in a bucket with one of them showing his pearly whites. Reflection of a rowboat in the ocean. Marshall Point Lighthouse in the fog. A reflection in the water of a walkway to a dock. Highlight on a branch in the forest of Camden Hills State Park. Rowboats stacked up in the harbor.